For all those Green finger enthusiasts, this is the gift for them! 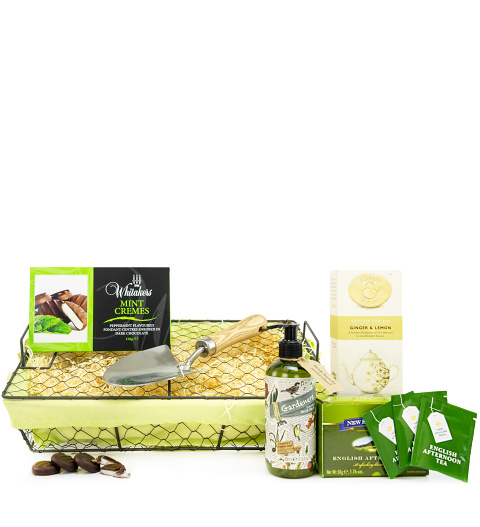 A gardener's basket complete with a trowel. After a day in the garden, wash down with luxury gardeners soap and moisturiser a good old cup of tea!